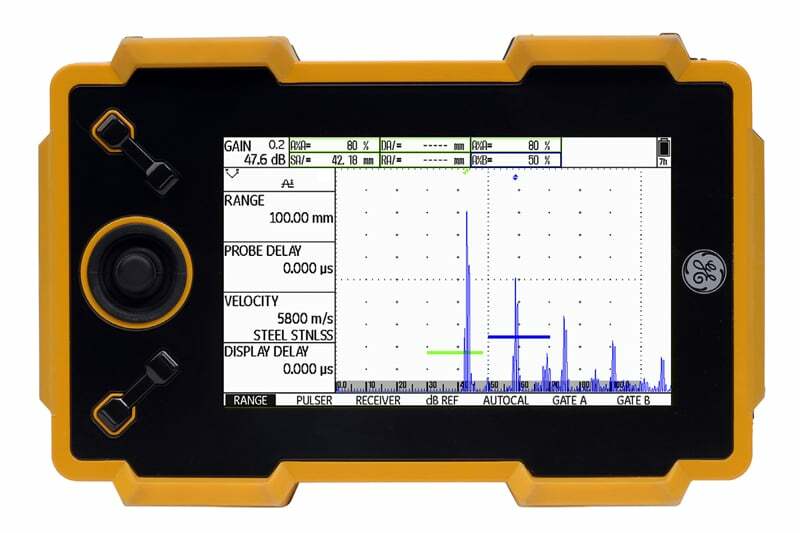 The state-of-the-art USM Go ultrasonic portable flaw detector is an easy to use, reliable system, perfect for a variety of applications. The small, lightweight unit has been ergonomically designed for comfortable single handed use and is well suited to confined spaces. 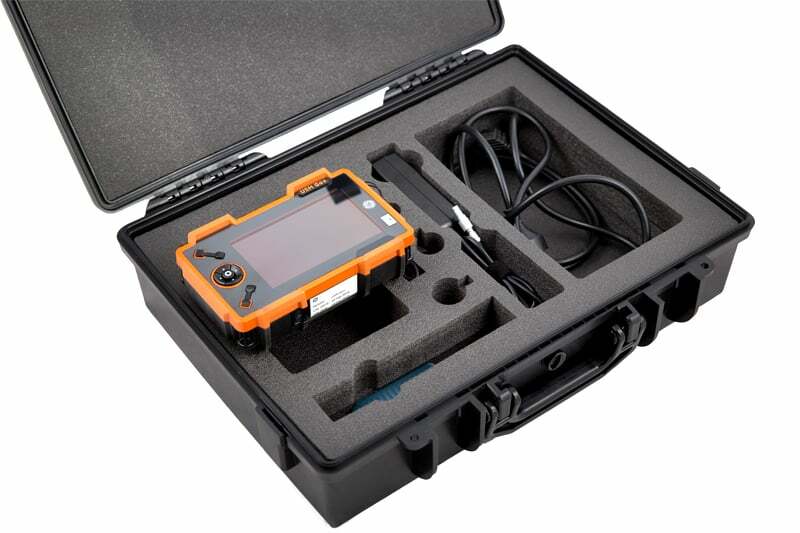 The rubber moulded casing is built tough to withstand even the toughest work environments. 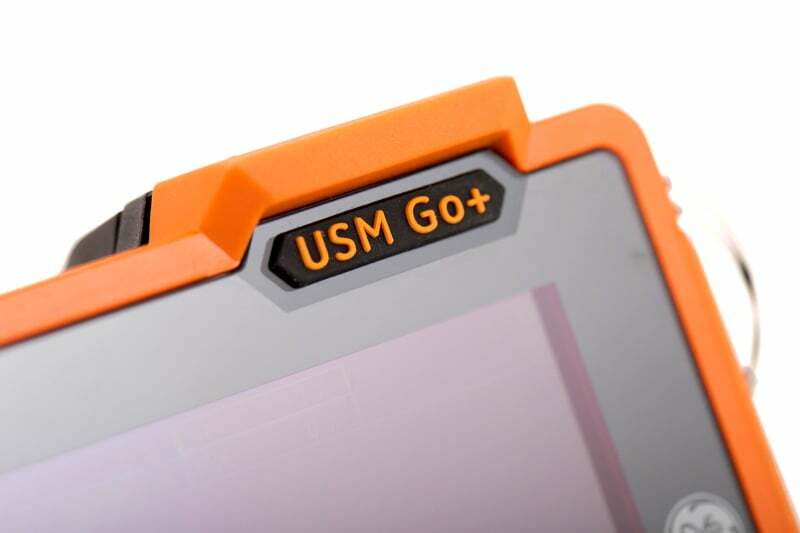 Even with its compact size, the USM Go ultrasonic has a large, easy to read display that has been designed to help reduce eye strain. The unit comes equipped with an integrated display stand allowing the user to customise the display angle for optimised reading whether the unit is desk or bench mounted. All controls are conveniently placed within a fingertip’s reach and with the pressure sensitive joystick, navigation couldn’t be smoother. 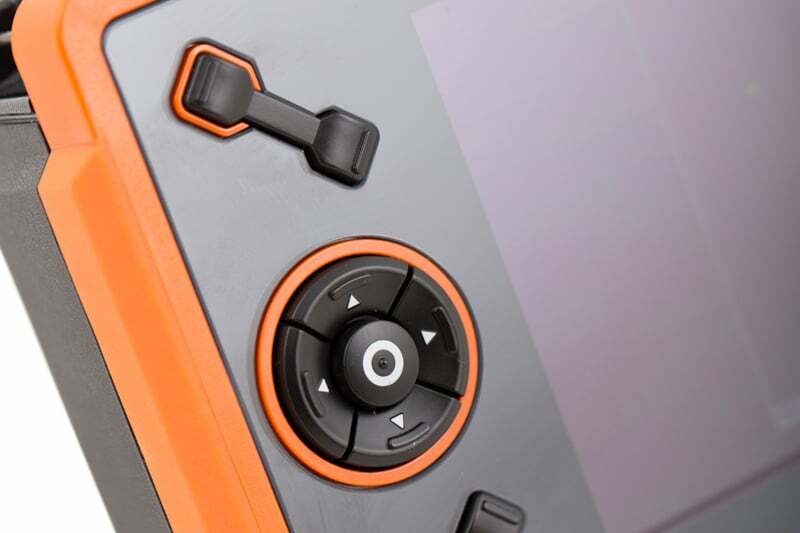 To make operation even easier, the controls can be programed according to a specific user’s preferences. Operation is simple and intuitive so even the novice user can set to work quickly, with minimal training. Even if you do get stuck, the unit provides instructions as you go along so there’s no need to refer to a manual. Data is transferred via a standard USB connection to allow download to just about any device for storage or later analysis. Reporting is done in jpeg format with a printable summary list option, so there’s no special reading software required. The unit comes with 2GB memory inbuilt, or can be used with additional SD cards to provide up to 16GB of data storage. 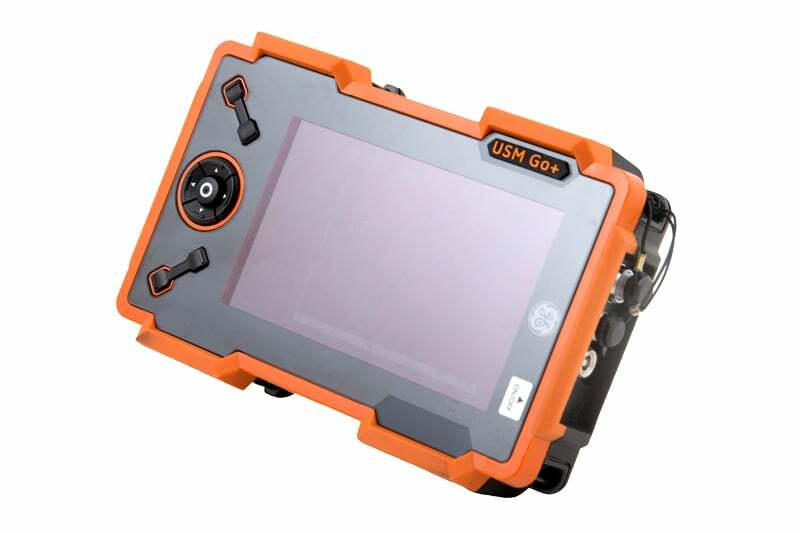 Contact us to find out more about the USM Go Flaw Detection system or any of our other non destructive testing equipment, or request a quote online. Precise Time of Flight indication in μs.